﻿ KJP's Throne Room. 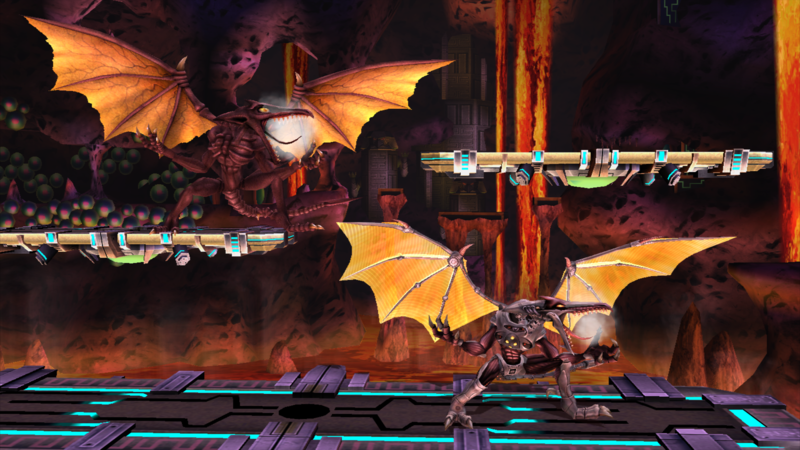 01/03/2019: Classic Ridley Update Finally Released! 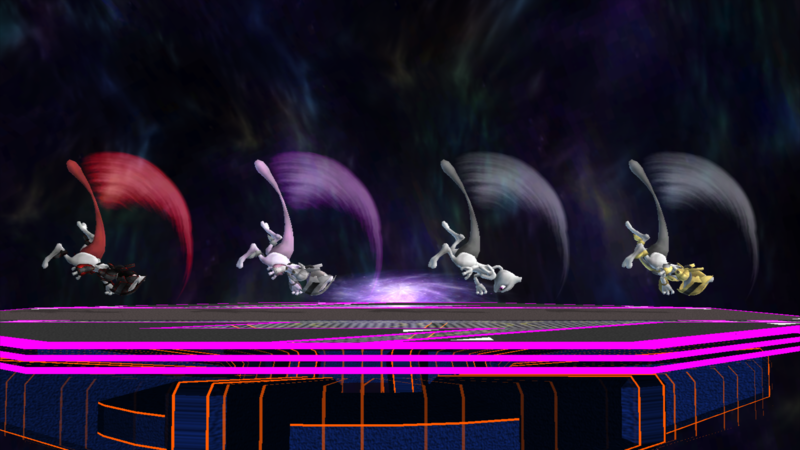 Kitty Corp Meow Mix Forums | Super Smash Bros. Brawl Hacking | Attacks and Animations (Moderators: KingJigglypuff, Large Leader) | KJP's Throne Room. 01/03/2019: Classic Ridley Update Finally Released! Out of the four members of the Fighting Alloy Team, which one is your favorite? Re: KJP's Throne Room. Opening Thread Overhauled! So it's been about two months since any updates, so I feel I'm obliged to give an update. Though for Ridley, I've done numerous things since the last previews. I've uploaded a (now outdated) preview video of the current Ridley at the time facing off against the current Waluigi at the time, so you're all able to see new things for both Ridley and Waluigi. The reason why the above video is outdated is because of a few things. Updated Super Metroid Box Art alternate color. Wing membranes are now yellow, thanks to @Cahalan. An undisclosed discovery has allowed me to give Ridley 18 costume slots (default limit was 15). Though I'll need permission from the user involved if I were to include this in the pre-made build I plan on releasing. Meta Ridley has been given an electric spark effect for when stunned by things like shield breaks, Deku Nuts, etc. New Up Special visuals + animation edits. That's all I have to show for now. In regards to what's left for Alloys and Ridley, the Alloys need their Wireframe alt costumes, and Ridley needs his Heavy Item animations polished and PSA coded. I can only hope we're able to get everything done before the end of the year. Re: KJP's Throne Room. 11/22/2018: Fighting Alloy Team Finally Released! After a year of teasing for what basically amounts to a side project, I have decided to finally release my Fighting Alloy Team. Happy Thanksgiving, everyone. You guys remember why I made this Fighting Alloy project, right? It was supposed to be an appetizer to hold off until the Ridley update was done, but over a year ended up going by. For a fully extensive document on the past, present, and future of the Ridley update, take a look at my most recent pastebin post. For those who already read my post and/or just want to skip to the final preview, take a look at the updated Ridley renders by Tryptech. For the Fighting Alloy Team pack, the Red Alloy's Dark color animation didn't reference the correct materials. This has since been fixed, and I request those who have downloaded the pack to re-download it. 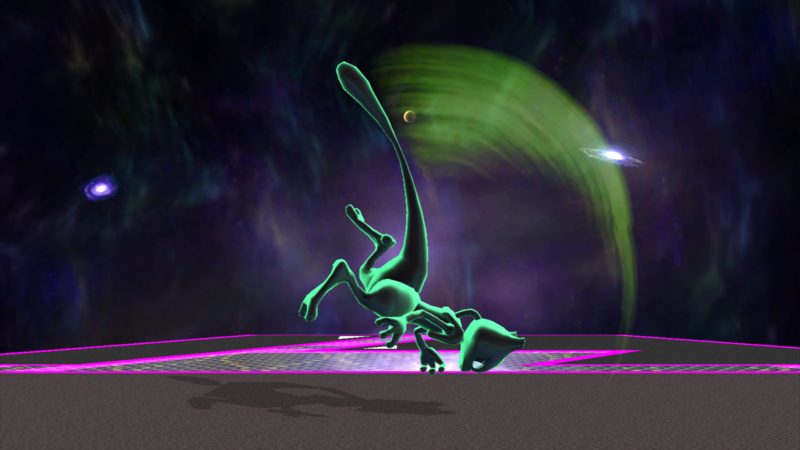 I know I said there wouldn't be another Classic Ridley preview until release, but BaganSmashBros (second project leader) wanted me to make an up-to-date preview video, so here we are. Additionally, BaganSmashBros himself also recorded some footage, so have that as a bonus. Re: KJP's Throne Room. 01/03/2019: Classic Ridley Update Finally Released! Good afternoon, everyone. It's finally time to release this major, expansive, and heavily anticipated update to Classic Ridley. It's been over a year and a half, so we hope all this time and effort has been worth it. I would have never been able to achieve this without the help of some very talented people, including the user who started it all: BaganSmashBros. Thank you, everyone, for being so patient with us. And have a happy New Year. I have no plans to make a Pre-made BrawlEx build, but I might consider it if there's a large enough demand for it. 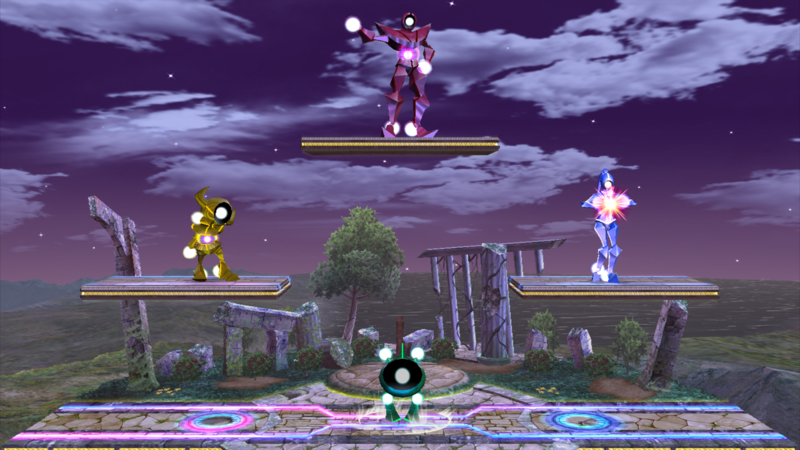 Additionally, here's a blog post made by former PMDT Jedi SOJ, which highlights what makes Ridley unique in the world of modded Smash. Uh.... just to let you know, the MEGA link inside the Brawl Vault entry just seems to be a dead link, I think you may've forgotten to change it to the newer one. Oh shoot. Thanks for pointing this out to me. The BrawlVault description has been updated to the correct MEGA link for the pre-made build. I love this taunt. It's just so mocking. Finally, a side project that didn't take me an entire year to complete. 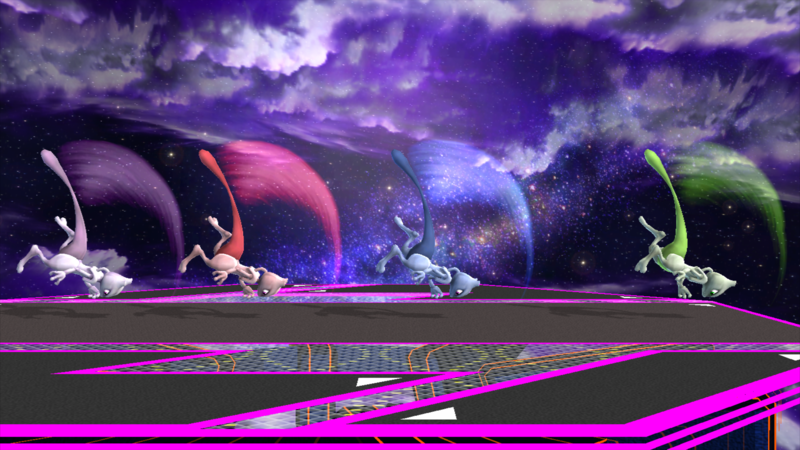 What I did was give Mewtwo costume-specific tail trails. The download comes with three separate versions for maximum compatibility with Project M 3.6, Legacy TE, and Legacy XP. It's been a while, so I've wanted to get this announcement out of the way. Yesterday, I had a meeting with the other members in my group (known as the Meme Machine Backroom on my Discord server). We discussed the characters we'll be cutting, as to be honest, I had way too many characters planned, and would never be able to complete them all in a realistic time manner, so I'll be going over which characters we've decided to cut and why. Decidueye: We'd like to cut down on the amount of Pokemon we're working on. Also with Decidueye being a Gen 7 Pokemon, it would be out of place in Brawl, which only goes up to Gen 4. Deoxys: Like Decidueye, I want to cut down on the amount of Pokemon we're working on. Mewtwo also takes the Legendary Psychic Pokemon role, giving Deoxys little reason to be made. On top of that, Brawl's limitations prevent me from implementing Deoxys the way I wanted to. Eggman: This character was only in a conceptual phase, with the concept in question being criticized for not fitting in a Smash Bros. environment. Galacta Knight: Kirby, Meta Knight, and King Dedede are all the Kirby series needs in regards to representation. Even then, my plans for Galacta Knight revolved around making him a Meta Knight semi-clone, which was unoriginal at best. Mega Lucario: Mega Lucario was just going to be a Final Smash transformation for Lucario, but Lucario lacks the memory allocation to fit two of itself inside one character allocation. Meowth: Smash Bros. never directly references the anime. The only recognizable Meowth is Team Rocket's Meowth, which would stick out like a sore thumb when it comes to the Pokemon cast. I also would want to pick a different Pokemon if I were to make another Kanto Pokemon. Scizor: Pichu already exists as a Gen 2 rep. Even then, Scizor never had a plan to begin with, so we decided to cut it to reduce the Pokemon count. Solo Charizard: The revamp to Solo Charizard was cut because nobody wants to put the time into overhauling a vBrawl character everyone is mostly content with. Zoroark: Same reasoning as Decidueye, except replace Gen 7 with Gen 5. Making such a massive amounts of cuts is always a hard choice, but it's not all doom and gloom, as in place of these cuts, I've picked up 3 new characters, one of which being Dark Samus (this was a project handed over to me to finish), with the other two being kept a secret. Additionally, I'd like to announce my current project is Sceptile (another nail in Decidueye's coffin, due to both being Stage 3 Grass Type starters), but I cannot show anything yet, as Sceptile is not in a good enough state for previewing purposes. I'd also like to stress we need animators for current and future projects. If you're an animator and would like to help, please contact me with your most recent references of your work. It can be though either KC-MM, SmashBoards, Twitter (@KingJigglypuff), or Discord (KingJigglypuff#8570). Thank you for understanding and I can hope to continue to produce quality Brawl modding content. It's a shame those projects had to be cut (specially Deoxys as it was shaping up so well), but I completely understand where you're coming from. It's really difficult to work on too many projects at once. Stick to YOUR pace!